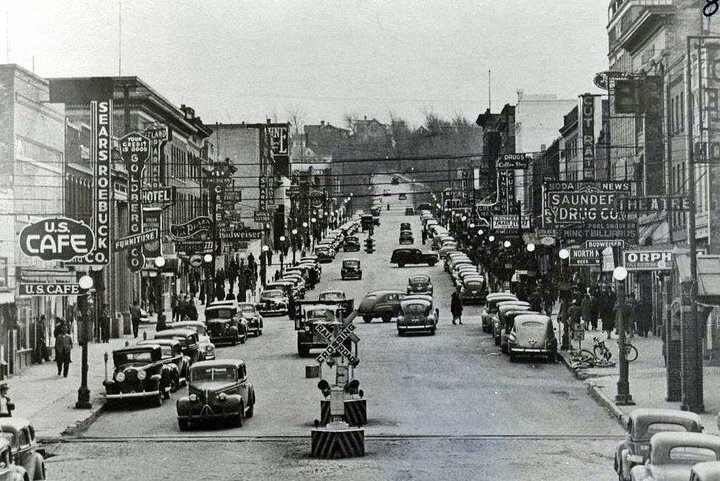 For many years the residents of the “North Side” of early Minot wanted better access to downtown. A footbridge known as the “Wheeler Bridge” spanned the Mouse Rive at the foot of Victoria Street but was mainly used and useful to G.N. employees. In 1908 a temporary footbridge was built over the Mouse River by the “north Siders”, but it was later partially destroyed. 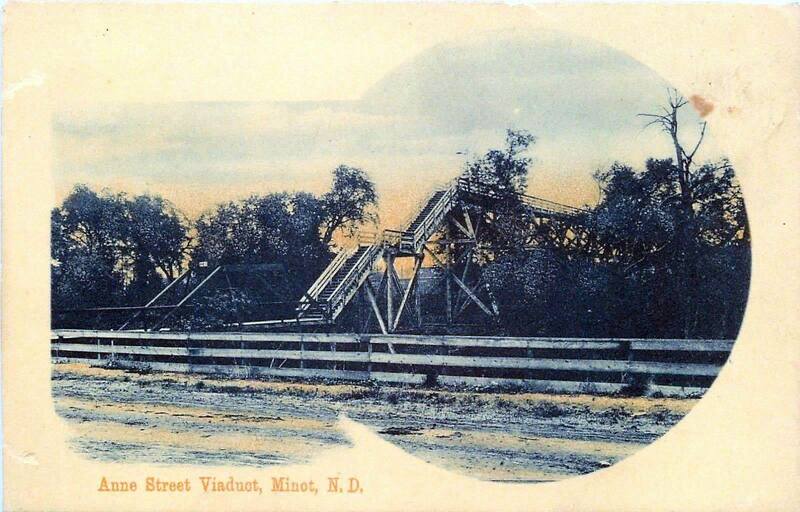 In early 1908, a “foot viaduct” was built by the city to replace the unsafe temporary bridge. This footbridge spanned the Mouse River and the Great Northern Railway tracks. It was built in early 1908 at a cost of $625. The North Siders were jubilant.